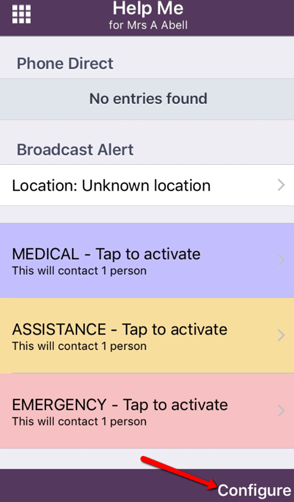 Help Me is an emergency alerting feature that Emerge Mobile users can activate very quickly in the event of difficulty or emergency. You will need to have internet access to use this feature. 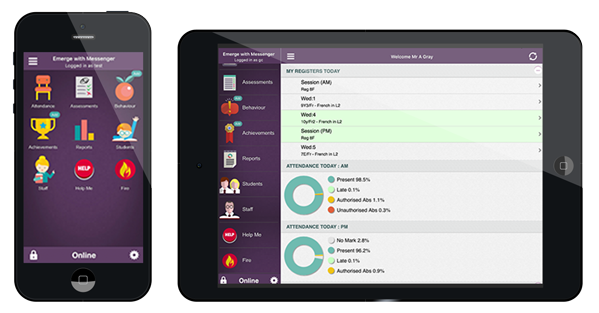 The admin user at your school (with access to the Emerge Management Console) will be able to grant other staff access to Configure the Red Button. Staff with this permission have the ability to Configure the messages and contacts that all Emerge Mobile users have access to via the Help Me feature. 1) From your Dashboard (Homepage), tap Help Me. 2) Tap Configure in the bottom right corner of the page. 3) From the Help Me Settings page, tap on the message you wish to edit or add to the Help Me feature for all staff. b. Enter a phone number under Direct Phone to activate the call option (Phone Direct) for other users. To deactivate this feature, simply delete the phone number currently stored in this field. 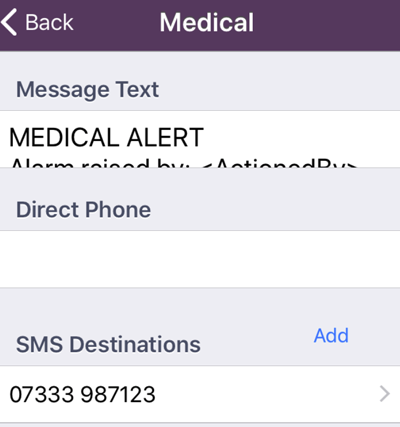 c. Select mobile numbers that will receive emergency messages sent by other staff members by tapping Add next to SMS Destinations. To remove a mobile number, swipe left and tap Delete. 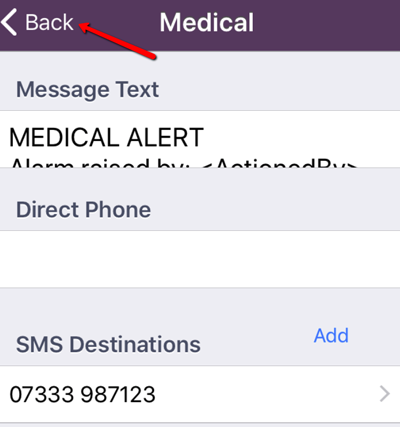 Removing all numbers from SMS Destinations will deactivate that message for all staff. 5) Once you have made any changes, tap Back in the top left. 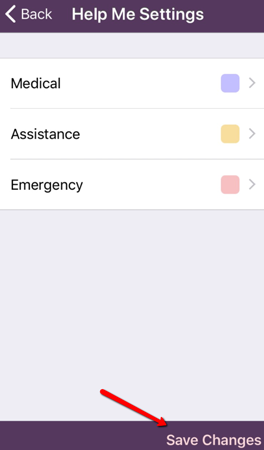 6) From the Help Me Settings page, tap Save Changes from the bottom right. 1) Tap Help Me from your Dashboard (Homepage). 2) Emerge will automatically predict your current location based on the timetable data (from your MIS). 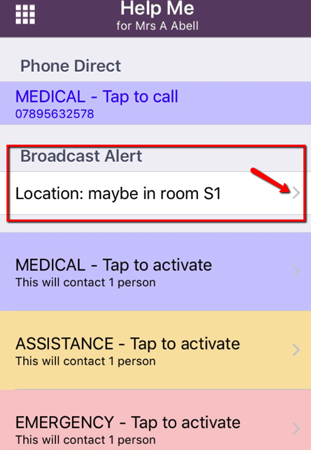 If you would like to update this information, simply tap on the Broadcast Alert field to choose a different location. 3) Then tap on the message that you need to send. The messages you see here depend on what your school administrator has activated. 4) A confirmation pop-up will appear before your message is sent. Tap Yes when you are ready. 1) If your school administrator has configured the Help Me feature for making a phone call, you will be able to access this option under Phone Direct. 2) Simply Tap to call from the relevant category. 3) A pop-up will appear to confirm whether you want to call the provided number. Tap Call when you are ready.